Vomitory was formed in 1989 by guitarist Urban Gustafsson during the birth of the globally well-known Brutal Swedish Death Metal scene. Ever since, they have constantly and brutally delivered straightforward grinding Death Metal. While being a part of the phenomenon that was the Swedish Death Metal scene, the early and most important influences were spelled Sodom, Slayer, Entombed, Bolt Thrower, Napalm Death, Grave and Carcass. 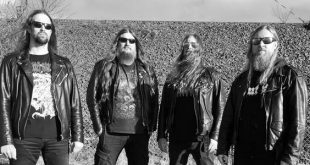 Vomitory to unveil two album re-issues with bonus tracks!